Do you dread bathing your baby because you are frightened that he will slip out of your hands and under the water? This is a common fear and we all know how babies wriggle around. 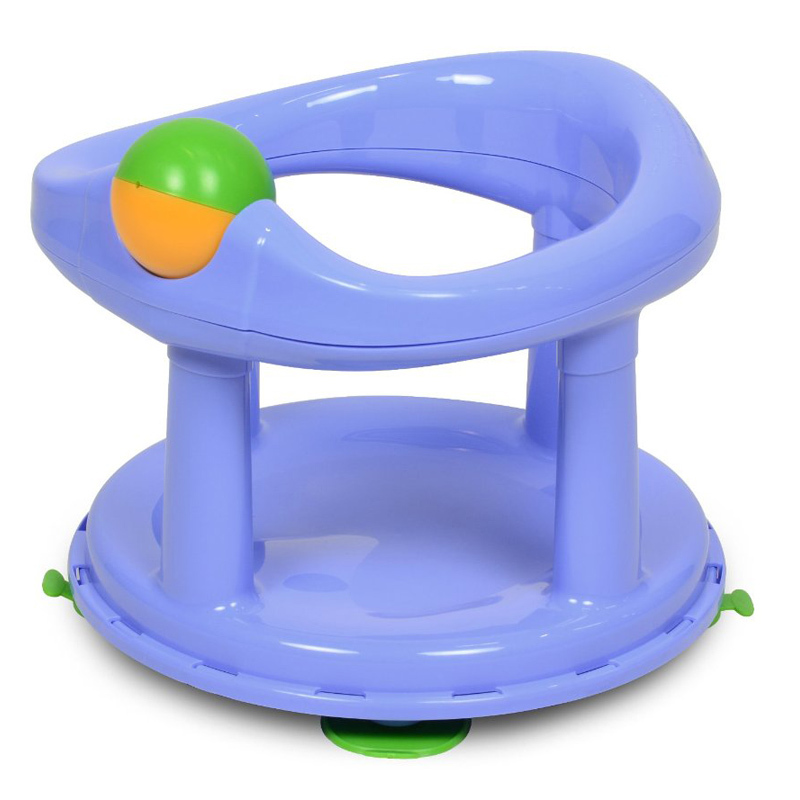 The Safety 1st Swivel Bath Seat will calm those fears and make bath time a joy and pleasure for both you and your baby. An ergonomic back rest provides extra support and suction pads on the base ensure the seat stays in place when placed in the bath. Now that baby is settled securely in his seat it leaves your hands free to bathe him with no fear of him slipping out of your grasp. Bathing baby gets easier with the Safety 1st Swivel Bath Seat. 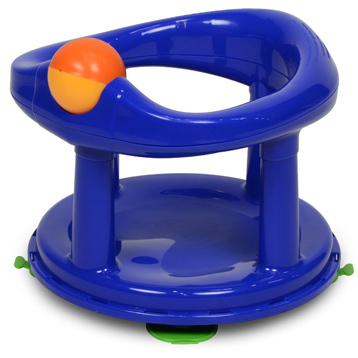 This bath seat features an ergonomically designed back rest that allows baby to sit in the bath with extra support. The seat supports baby safely and leaves your hands free to bathe baby. The Safety 1st Swivel Bath Seat also has a unique 360 degrees swivel, that helps turn baby gently so you can access and wash difficult-to-reach areas. The seat has 4 independent suction pads on the base ensure stability and security when installed in the bath. 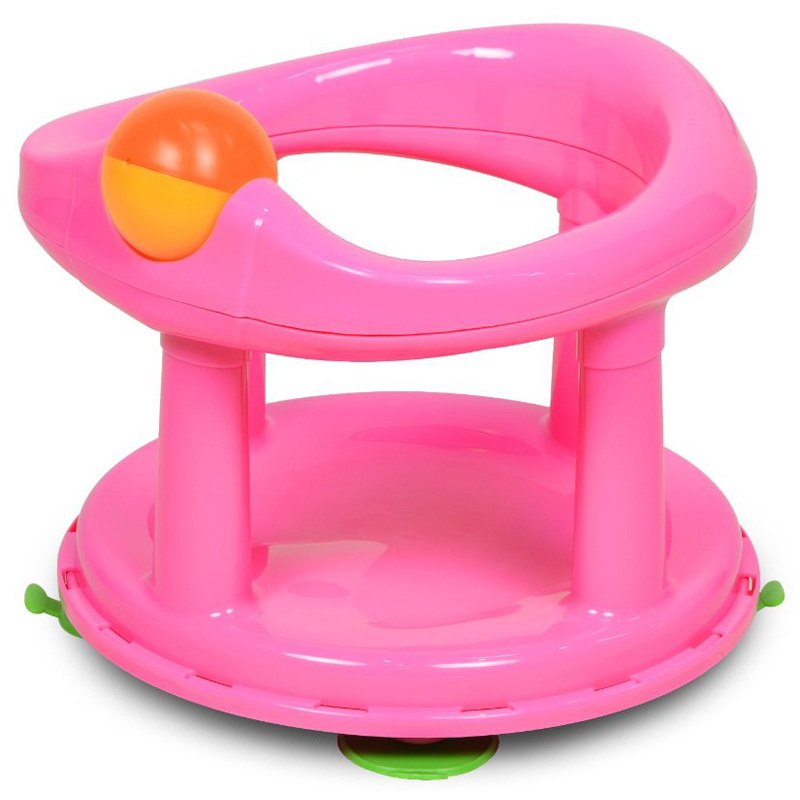 This Safety 1st Bath Seat also features fun toys on the front to entertain baby while you bathe him/her.